Give yourself a bit of retail therapy at Newbury Street and TD Garden. Appreciate the collections at Museum of Fine Arts and The Breakers. 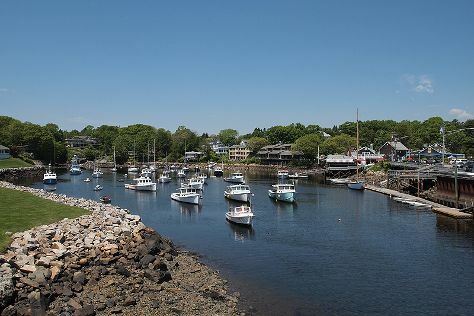 Get out of town with these interesting Boston side-trips: Newport (Cliff Walk & Ocean Drive Historic District), Marginal Way Walkway (in Ogunquit) and Walden Pond State Reservation (in Concord). There's still lots to do: appreciate the extensive heritage of Freedom Trail, contemplate the long history of Granary Burying Ground, kick back and relax at Long Point, and stroll the grounds of Mount Auburn Cemetery. Quickly create a custom-made itinerary for Boston using our trip planner. If you are flying in from Canada, the closest major airports are General Edward Lawrence Logan International Airport, Manchester Airport and Portsmouth International at Pease Airport. In December, plan for daily highs up to 7°C, and evening lows to 0°C. Cap off your sightseeing on the 2nd (Thu) early enough to travel back home.